Download and run a Kali Linux VirtualBox image. This will work on any distribution running VirtualBox. VirtualBox is an extremely popular option for spinning up virtual machines through a graphical interface with minimal hassle. While you can install Kali Linux from scratch with VirtualBox, there's a much easier solution. 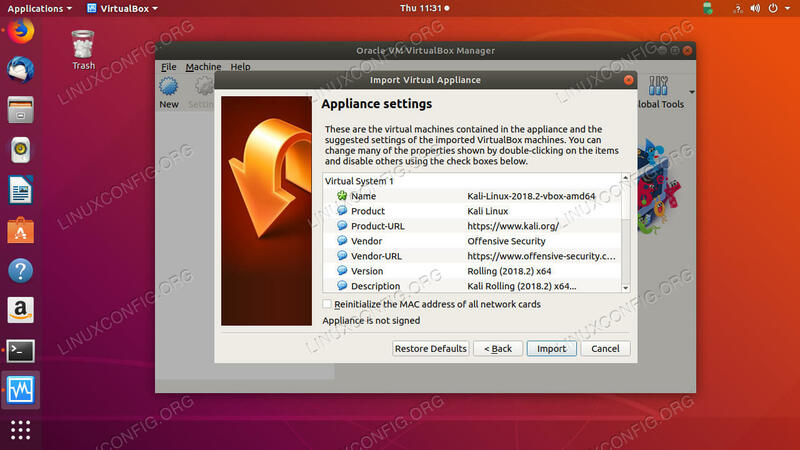 Offensive Security, the developers behind Kali, provide official VirtualBox images that are ready to go immediately. Open up your browser, and navigate to the Kali Linux download page. The images on this page are officially supported by Offensive Security. They're pre-setup for VirtualBox. So, you can actually just import and run a working VirtualBox appliance. Select the right architecture for your host machine. As you can see, the files are available as torrents, and they're quite large. Open the torrent with your client of choice. If you haven't set one up, Transmission comes with most GNOME installs, and will work well for this.
. A new window will open up and allow you to browse to the location of your .ova file. button. VirtualBox will get to work importing and setting up your Kali image. It'll show you a progress bar as it does so. When VirtualBox is done, it'll drop you back to the main window. Kali will be available in the left menu box. 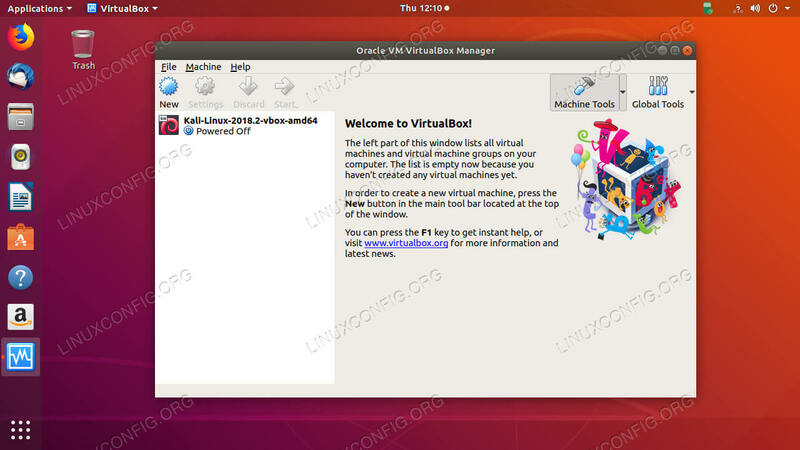 You can now start it up like you would any other VirtualBox VM. Because Offensive Security provides ready-made .ova images, getting set up with Kali on VirtualBox is dead simple. Once you start using your virtual machine up, you can keep and maintain it as you would any normal Linux installation.